In July 2009, we counted every open store/restaurant in CityPlace and listed them on this website. The occupancy rate of 85% was extremely impressive. Now that December 2009 is quickly turning into a new year (January 2010), we decided to re-do the count to see if there were any notable trends. My expectation was that there might be a slight downward trend, since retailers are still hurting considerably in the current economy, and I knew that several restaurants in the northern end of City Place (Italian Oven Cafe and La Salsa) had recently shut down. I was surprised, almost shocked, by the result of the new survey. Although 5 places have closed since July, 10 places have opened, and 3 more are the verge of opening. AT THE PRESENT TIME, CITY PLACE'S OCCUPANCY RATE HAS INCREASED TO 94%, and when the three places on the verge of opening are open, CITY PLACE'S OCCUPANCY RATE WILL BE 97%. Out of 94 spaces, 88 are now fully occupied and open. Once the three new restaurants open up, that will be 91 out of 94 spaces taken, with only 3 vacancies remaining! And those 3 vacancies are all relatively small spots toward the northern end of City Place. I wouldn't be surprised if, once the northern parking lot opens up (also imminent), those remaining 3 vacancies are filled as well. We could be looking at a shopping center that is 100% full. Even in good times, that would have to be unheard of, but it is truly unbelievable when you hear the stories about other malls in the area, whether on Palm Beach Lakes Blvd or in Palm Beach Gardens, that are almost empty. The performance of City Place is truly amazing. 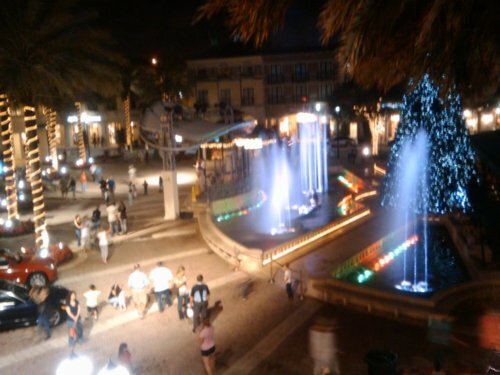 Downtown West Palm Beach (at least the part of it where City Place is located) is simply bursting with popularity. The following is a list of the new shops that have opened in City Place in the last few months: Apricot Lane Boutique (clothes), Palm Beach Puppies, Aphrodite Style (clothes), Solstice Sunglass Boutique, Lauren Adams Decor, Suite 160 (not yet named, clothes), Lost City Cigars, Verizon Wireless, French Carousel Can Can Cafe, and B.B. King's Blues Club. The last two, of course, are huge anchor entertainment venues. The following are the five businesses that have been lost: Italian Oven Cafe, La Salsa, Rythym (clothes), Casablanca (furnishings), and Relaxation Remedies (relocated to Clematis Street). All of these five were in the northern blocks of City Place. Of the five spaces left vacant by these departures, two have already been replaced (Verizon Wireless and Lauren Adams Decor) and two more will be replaced shortly (i.e. signs are already up for the two new restaurants Taco Vida and Wild Olives). Only one of the five spaces is completely vacant right now (Casablanca's former space) but my guess is it won't be for long. As previously mentioned, three restaurants are on the verge of opening (Taco Vida, Wild Olives, and the major seafood restaurant McCormick and Schmicks). 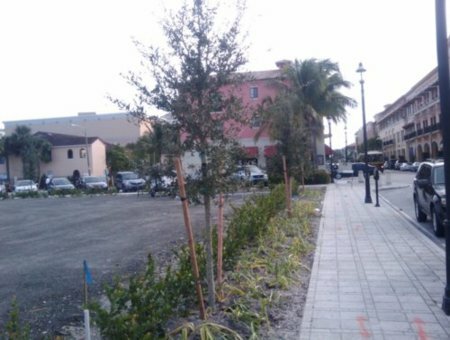 Once that happens, there will be only three small vacant spaces remaining in City Place. Truly amazing. 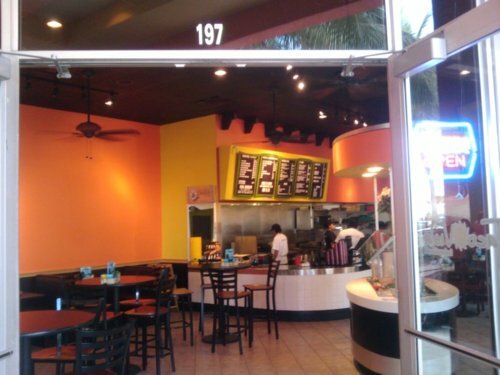 Taco Vida just opened on Christmas Eve, so City Place occupancy just officially increased to 95% (see picture below). Also, it looks like the parking lot north of City Place is nearing completion (see picture below of landscaping added yesterday). The watchman's booth and entry apparatus has been installed, and today electricians appeared to be working on the lighting system, which is really going to light up the block. 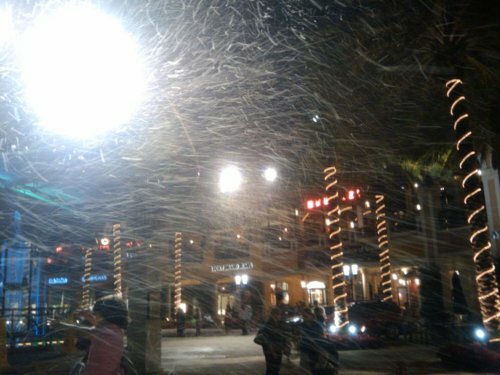 Perhaps one of the elements of City Place's success is its creation of magical events such as the 2nd annual City Place snow, which takes place every evening during the holiday season (see pictures below).